Japanese lenders’ outsized government bond holdings have Prime Minister Shinzo Abe in a chokehold. Unless banks shed the load now, they might try to dump the debt when the Bank of Japan stops printing money and causes bond prices to fall. A stampede could rattle the financial system and dent Abe’s anti-deflation campaign. Deposit-taking institutions have trimmed their portfolio of Japanese government bonds (JGBs) by 9 percent over the past year, helped by the BOJ’s aggressive bond-buying programme. But they still carry 288 trillion yen ($2.8 trillion) of JGBs, equivalent to 60 percent of GDP. There is a worrying amount of government debt still to come. The stock of JGBs would zoom to just over 925 trillion yen by 2017, from an estimated 860 trillion yen at the end of 2014, assuming 2.5 percent annual growth in the debt pile. If the Government Pension Investment Fund starts chasing riskier assets like equities to bolster returns, another 10-15 trillion yen of JGBs may need to find alternative buyers by 2017. That brings the oversupply to 80 trillion yen. On past trends, other non-bank investors and foreigners can pick up 35 trillion yen of the slack, leaving 45 trillion yen of JGBs looking for a home. The BOJ can’t keep buying 50 trillion yen of JGBs a year, and may turn seller once inflation picks up. All this is a problem because excessive buying could turn into panic selling, if bond yields start to rise from their low levels. That could bring financial instability and fiscal ruin. About 44 percent of Japanese corporate executives recently surveyed by Reuters expect a southern European-style debt crisis within the next 10 years. Abe’s team is aware of the challenge. 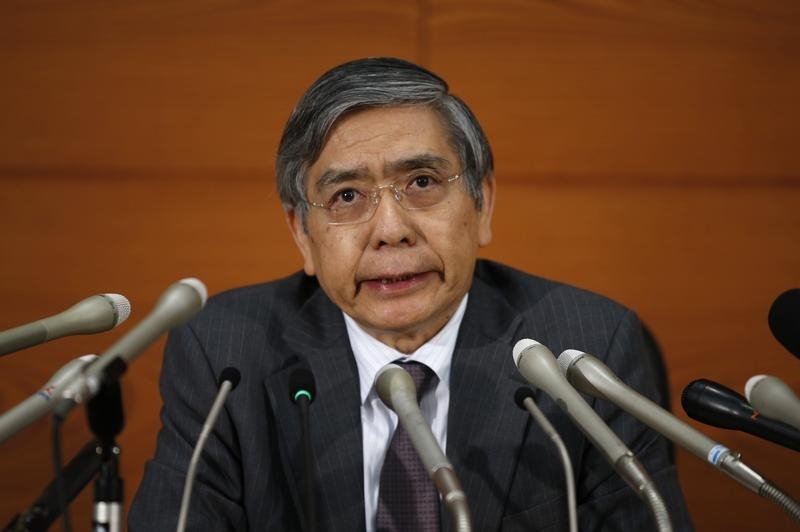 A finance ministry official attending the BOJ’s June 12-13 monetary policy meeting characterized the fiscal situation as “severe.” The best hope is that the government follows up its promise of “swift” fiscal correction, and tames its budget deficits. Cut the growth in JGB issuance to 1 percent a year, and even without any further BOJ purchases, the banks’ stock of bonds should stop expanding. Ignore the warning, and Abenomics could be left gasping for breath. A finance ministry representative attending the Bank of Japan’s June 12-13 monetary policy meeting characterized the medium-term fiscal situation as “severe,” minutes released on July 18 showed. The government will “swiftly make evident a concrete path toward achieving the target of generating a surplus by fiscal 2020 in the primary balance,” the representative added. The primary balance is the difference between government revenue and expenditure, without taking into account interest payments. Even with nominal GDP growing more than 3 percent every year, Japan’s cabinet office expects the primary budget balance – the government’s net borrowing excluding interest payment on past debt – to be 12 trillion yen ($118 billion) in fiscal year 2020. The primary balance deficit will narrow from 8.4 percent of GDP last year to 4.6 percent in 2018, according to the Economist Intelligence Unit.